It’s designed for the margarita, but mixes especially well with brown spirits. We start with a mix of neutral cane spirit (white rum), neutral grain spirit (vodka) and an aged 2 year French brandy. We move this into tanks and add three types of dried orange peel- a sweet orange from California’s Central Valley, a bitter Laranha orange from Curacao and a Seville orange from Spain. We add in coriander, clove, hibiscus, and vanilla. We finish it with a turbinado simple syrup made with Maui Raw Brown Sugar. It’s about 30% sugar- a rich, thick sweetness. This is the first time we have used glycerin and we add in a vegetable based one at about 1.5%. 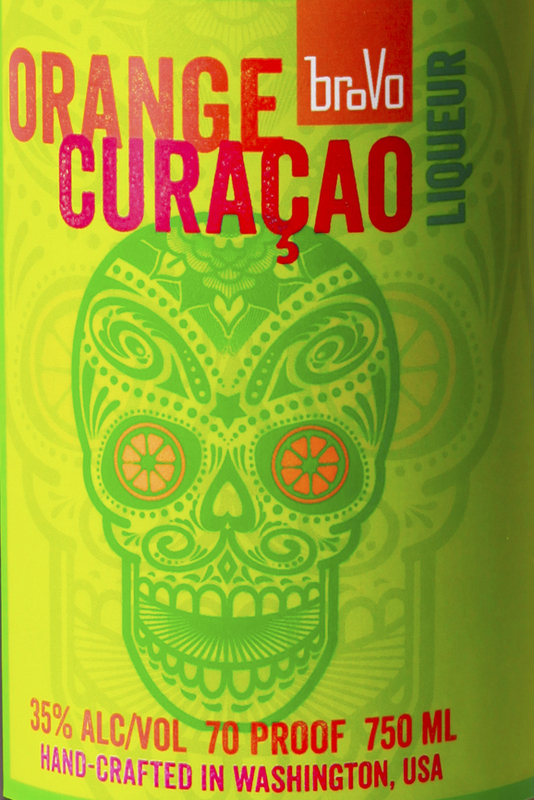 The curacao was authored by Laurent Lebec from Big Star in Chicago. Shake over ice and pour into a margarita glass.